Hi there! Welcome. I’m Rebecca. After spending my childhood summers picking green beans and never-ending ground cherries in my mother’s vegetable patch and then learning my way around the kitchen, I’ve been exploring good food and the story and people behind it. I’m drawn to food that is delicious, local, and seasonal. I am an avid runner and currently on the home stretch as a graduate student in clinical nutrition and herbal medicine at Maryland University of Integrative Health. I currently live in Eugene, Oregon and though I’m an Oregon native and absolutely love running in the rain and exploring the green PNW outdoors, I grew up on a cattle ranch on the dry and windy side of the state. I’m married to a super guy, William, and I often share snippets of our life here. Eggplant + Olive is a landing pad for my thoughts on food, health, and a little bit of life, as well as for the meals I love to eat. Though I spent most of my early years in wheat and cattle country, I transitioned to a gluten and dairy-free diet in early 2012 for medical reasons. For more details about my dietary choices, food philosophy, and to get to know a little more about my history with food, please explore the following posts. If you found this site through means other than food, and are interested in a little more about me, I recently began sharing my experiences with running, eating disorder recovery, mental health, and my faith in a more personal blog, here. Interested in working together or have any questions? If you have questions about collaborating, working on a sponsored post, recipe development, or want to share ideas, please don’t hesitate to contact me. 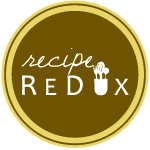 If you’re local to Eugene and/or the Willamette Valley and are looking for meal planning, cooking services and/or lessons, or nutritional consultation, please inquire for more information. Rebecca, I am so glad you shared this! I really did love seeing you guys over Christmas break. Best wishes in 2014. Love your blog! I’m an organic backyard farmer in the Mojave Desert and I’m roasting my fresh garden beets right now to try your posted Beet Hummus recipe! Thank you!